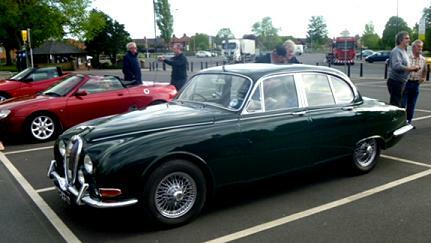 Our first evening run out of the year was attended by a fantastic turn out of club members. 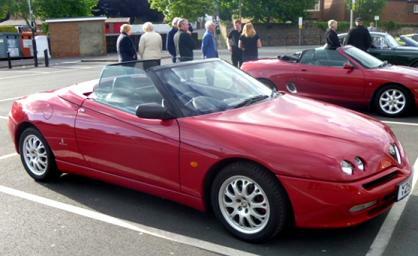 Fourteen cars all gathered on the car park on a pleasant evening which gave most of us the opportunity to show our cars at their best with the convertibles roofless, I did say most, It was good to see a couple of guest’s appear maybe future members. We now have a very diverse selection of cars in the club ranging from Jaguars to Morris Minors along with the usual MG’s we now even have a Porsche and Alfa Romeo. Jim was in charge of this event and was busy handing out route instructions as we all gathered before setting off out to the east of the town up Bullamore bank. The route took just over the hour circling round many local villages more familiar to some than others. The route instructions were very clear but it didn’t stop some cars disappearing in various directions from which they were supposed to be heading, just to keep up local tradition. However I think everyone visited every village on the route just not always in the correct order. 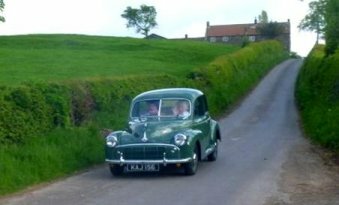 The run out also achieved some plus points as Bill had to get the Morris Minor serviced as Mavis is more at home in the Morris than the MG, fortunately it was a fine night but a shower might have proved if Tony’s repair to his hood seal had worked although it was reported that Sheila had some waders in the car just in case. 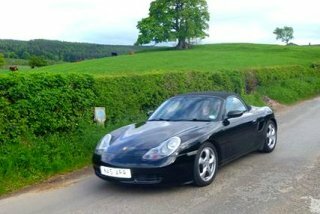 The nice weather also saved Anthony’s gleaming Boxster from getting more than a bit dusty although it is said that he has plenty of time now to polish it. The evening ended at the Village Inn with a hot meal and I think satisfied members.